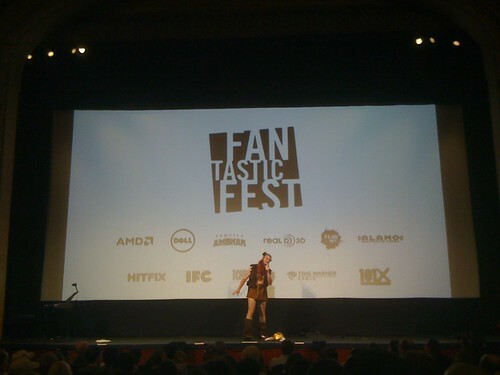 Looking forward to the DIY Wackiness at Fantastic Fest! | ANNAINAUSTIN...and Company! 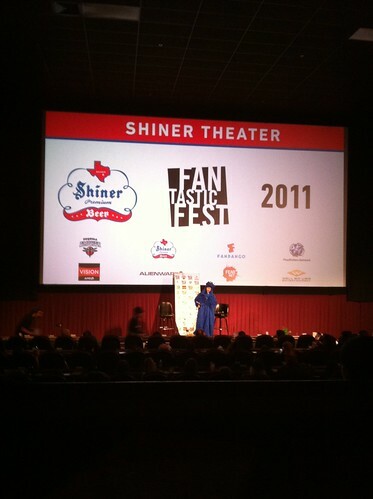 Never mind the hella-awful Austin allergy forecast (which features the four icky horsemen of the achoopocalypse riding into town on their microscopic horses) …but today is the first day of Fantastic Fest, 2012. It’s a good thing. While I’m most certainly looking forward to the films–and maybe even having a Heathers moment with Winona Ryder in the ladies’ after Frankenweenie — I’m super stoked about seeing my friends and seeing the DIY weirdness that always comes out at the festival! True confession: I’m all about the costumes and the fun to be had at a horror movie festival. A couple of years ago, the Fantastic Fest opening film was the wee-vampire film Let Me In (2010) the American remake of the amazing Swedish vampire film Let the Right One In (2009). Yet the opening night craziness featured not only a children’s choir, but dudes dancing in Viking horns, and an oath sworn while drinking a green vial of liquid. This was all nonsense tied to Let Me In in the most tangential ways. Tim League as a Viking. 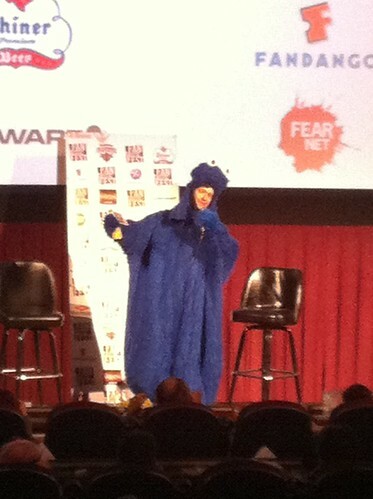 One of my other favorite Fantastic Fest costume moments: Tim League in a Cookie Monster costume at the 2011 closing night screening of A Fan’s Hope–the movie about Comic-Con in San Diego. The Cookie Monster is a good listener. 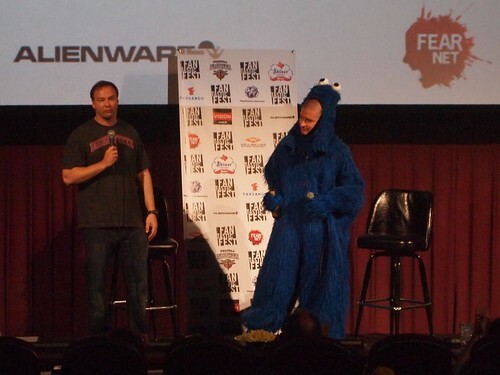 Tim League as a giant cookie monster, Fantastic Fest 2011. Going further back, there were the costumes inspired to the festival crowd’s reaction to Lars von Trier’s super-controversial film Antichrist (2009). 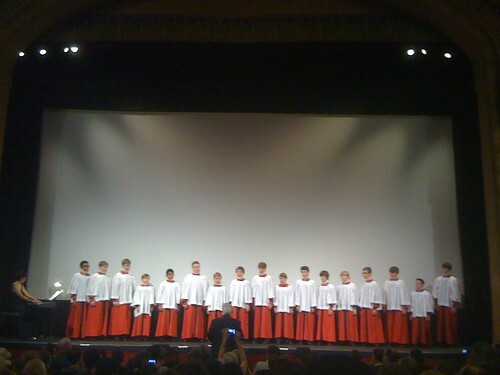 Antichrist homage costumes, 2009. David Roland Strong on left, Tim League on right. Grrr for the camera, err, Mr Fox? I totally have hope that the screening of Frankenweeie will be awesome tonight! Of course, there is a fair amount of DIY fun that happens at the Fantastic Fest parties. 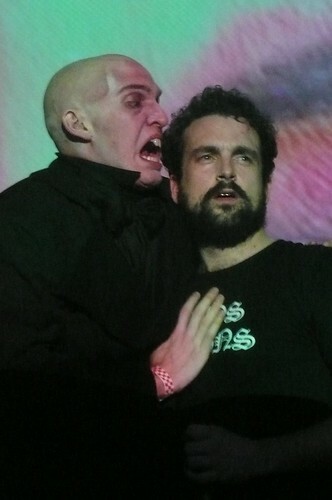 getting danced with by Nosferatu. There’s nothing quite like spirited dancing from the undead. Last year, at a Fantastic Fest party at the Highball, Nacho spanked me with a spoon. I’ve been to a lot of parties, but that was my first-evah spoon-spanking! I doubt anyone can top spanking me with a spoon, but one never knows at Fantastic Fest. 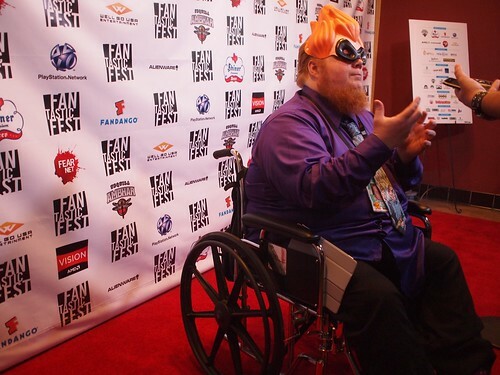 But as Nacho won’t be there this year, I suspect that spoon -spanking will keep it’s special place in my list of favorite Fantastic Fest DIY weirdness moments!